Rick Olson, RMTS President and COO, is proud to announce the success of the innovative RMTS weld box. As RMTS continues to grow, Jim Petkus from James Steel Tube joins the RMTS team! 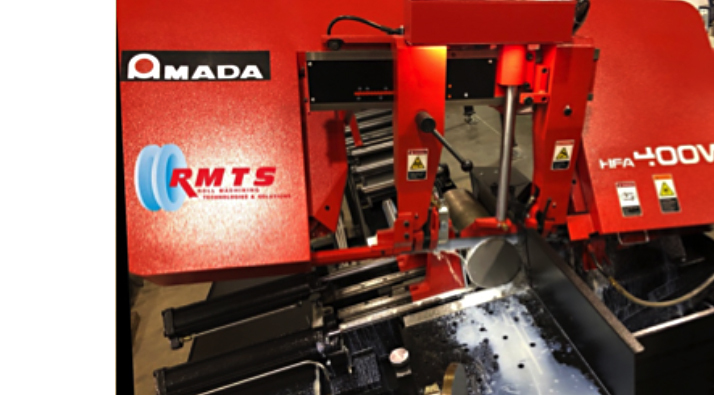 RMTS teams up with Invisuale Inc.
RMTS new technology "Finite Deformation Technology"
RMTS is proud to announce the installation of a new Amada CNC Controlled Automated Band Saw as we continue our infrastructure upgrades and improvements. RMTS president Rick Olson says, “There’s no question how much of an improvement this makes to our customers. Our in-house ability to cut allows us to strive for even better deliveries and tighter quality control with less vendor reliability.” RMTS can now cut up to 16” with the new CNC controlled saw allowing for even quicker emergency roll replacements when the unexpected happens. The ability to cut larger diameter steel quicker and send to heat treat is a game changer for RMTS.